A “clocked adversary” is a program that can time its operations and base its behavior on the results of those timings. While it is well known that hashing performs poorly in the worst case, recent results have proven that, for reference-string programs, the probability of falling into a bad case can be driven arbitrarily low. We show that this is not true for clocked adversaries. 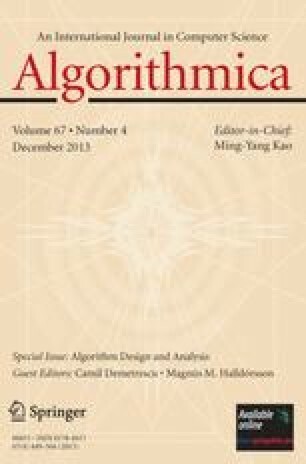 This emphasizes the limits on the appiicability of theorems on the behavior of hashing schemes on reference string programs, and raises a novel set of problems dealing with optimality of and vulnerability to clocked adversaries. Work was supported by DARPA and ONR Contracts N00014-85-C-0456 and N00014-85-K-0465, and by NSF Cooperative Agreement DCR-8420948.